This weekend Tarabya British Schools has attended the MUNESCO conference organised by Bilkent Schools Ankara. All our students performed to a high level and were ranked very highly in their committees. 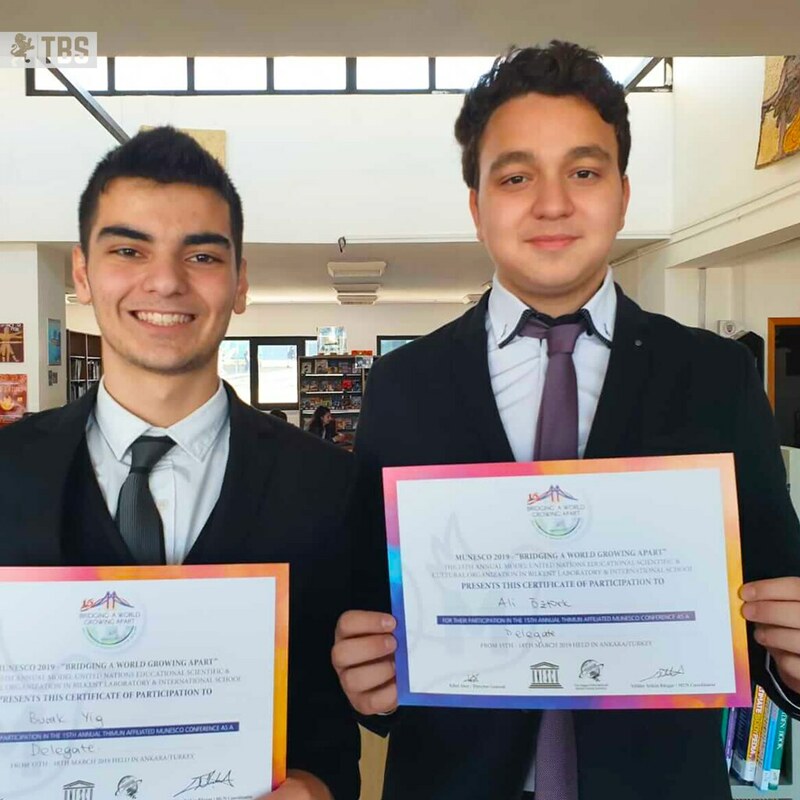 Two students Ali Uygar Öztürk and Burak Yığ have been awarded best delegate out of 150 students. This is a remarkable achievement. We are so proud of all the students who took part. 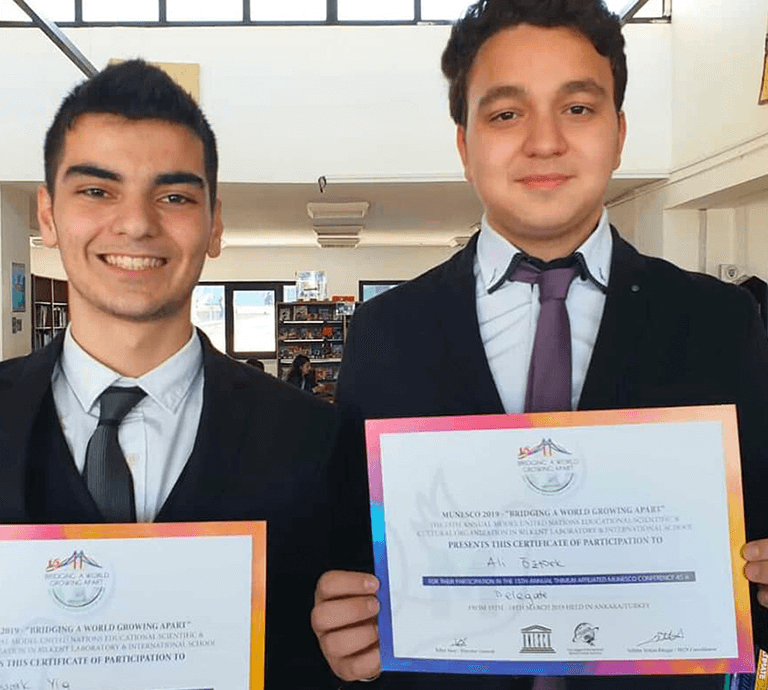 TBS is being recognized as one of the best schools in MUN conferences within Turkey. Model UN was created by Harvard students in 1955 and consists of a simulation of the United Nations aiming to provide students with a detailed introduction to the world of international politics and diplomacy. It gives them the unique opportunity to play the role of a UN ambassador in multiple conferences and represent a given country in a UN committee on pre-worked topics. Each conference goes through the real UN process: from the opening statements to the debate, the writing and adopting of a resolution. To be convincing, the participants have to research their country’s policies thoroughly and defend them persuasively in position papers, debates and draft resolutions. It teaches not only extensive debating and public speaking skills, giving participants a chance to practice them, but also allows for an inside perspective on world politics and the possibility to give one’s own opinion and further develop interest and knowledge in many fields.